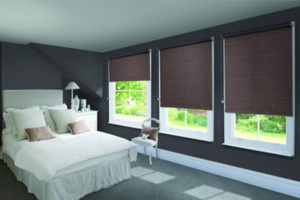 At First Choice Blinds you can choose from our stunning collection of over 250 sheer, blackout, plain, printed and woven fabrics. Delicate translucent fabrics provide a contemporary take on the conventional net curtains while the huge colour choice makes it easy to co-ordinate with existing or new schemes. 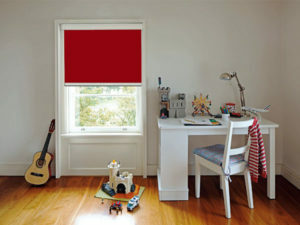 Rollers are also available in blackout fabrics – perfect for children’s rooms or if you are a nightworker and need to sleep during the day. Rollers are an easy and relatively inexpensive way to update an interior. Warm up with rich, vibrant tones in autumn and winter and opt for blooming marvelous florals to reflect the change in seasons. An exclusive range of prints designed specifically for dimensions is at the heart of the range. Modern bold florals, abstract patterns with a retro twist, cute and chic children’s designs and contemporary classics bring style and cheer to the practicality and uncluttered feel of roller blinds. Dublin 1 includes most of the north inner city, including Abbey Street, Amiens Street, Capel Street, Dorset Street, Henry Street and Mary Street, Mountjoy Square, Marlborough Street, North Wall, O’Connell Street, Parnell Square, and Talbot Street. Notable features of this area include the General Post Office, from which distances are measured, the Hugh Lane Gallery and the Dublin Writers Museum. Dublin 2 encompasses most of the city centre south of the River Liffey and takes in areas around Merrion Square, Temple Bar, Grafton Street, Dame Street, Leeson Street and Wexford Street. It includes notable important buildings and tourist attractions such as Leinster House, St Stephen’s Green, the main National Museum building and The National Gallery of Ireland. The district also houses Government Buildings and is considered to be Government quarter of the state. The borders of Dublin 2 are the Liffey in the north, the Grand Canal to the south and east and Aungier, Wexford and Camden Streets to the west. Dublin 7 includes Arbour Hill, some parts of Ashtown, Broadstone, Cabra, Grangegorman, Phibsboro, Smithfield, Stoneybatter; a key feature is the Four Courts complex.